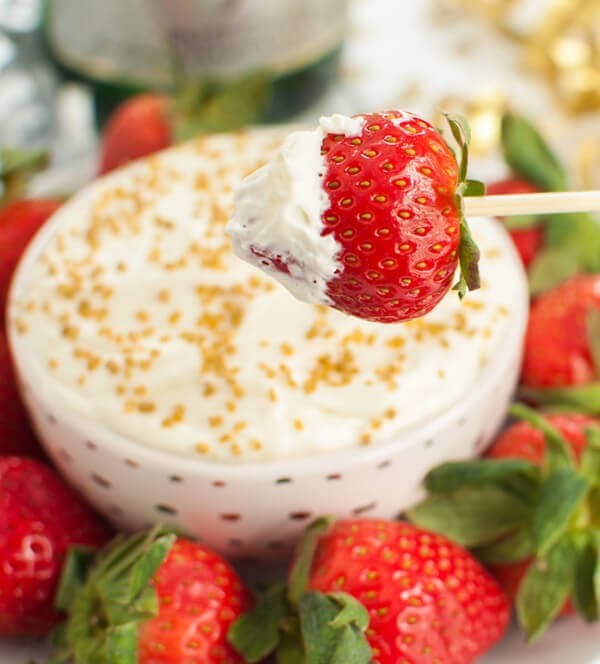 4 ingredient boozy dessert dip made with champagne. 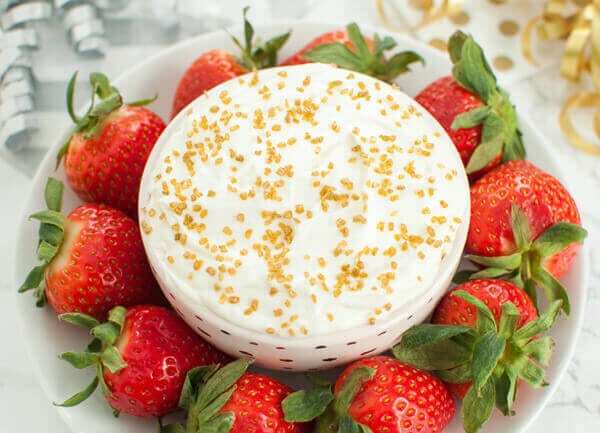 This champagne cheesecake fruit dip is the perfect way to celebrate Valentine’s Day, New Years, a bridal shower or any special occasion. This feels a bit odd. 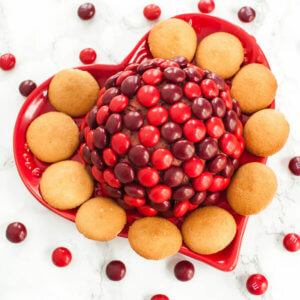 It’s February, I’m writing a post for Valentine’s Day, and it was almost 80 degrees outside today in Virginia. Yesterday, our high was around 55. It would be different if I was in Florida, but we actually have four seasons in VA. Our weather get’s slightly confused at times though and we get all 4 seasons in one week. We’ve at least had one decent snow this year. That’s more than some winters around here. I grew up in the same state so I should be used to it by now. I was hoping for one more good snow, but I don’t think that’s going to happen. Oh well, time to look forward to Spring and more daylight hours. The warm weather made me want to do some spring shopping today for new clothes and shoes. I should have been doing spring cleaning, but I was not that motivated. 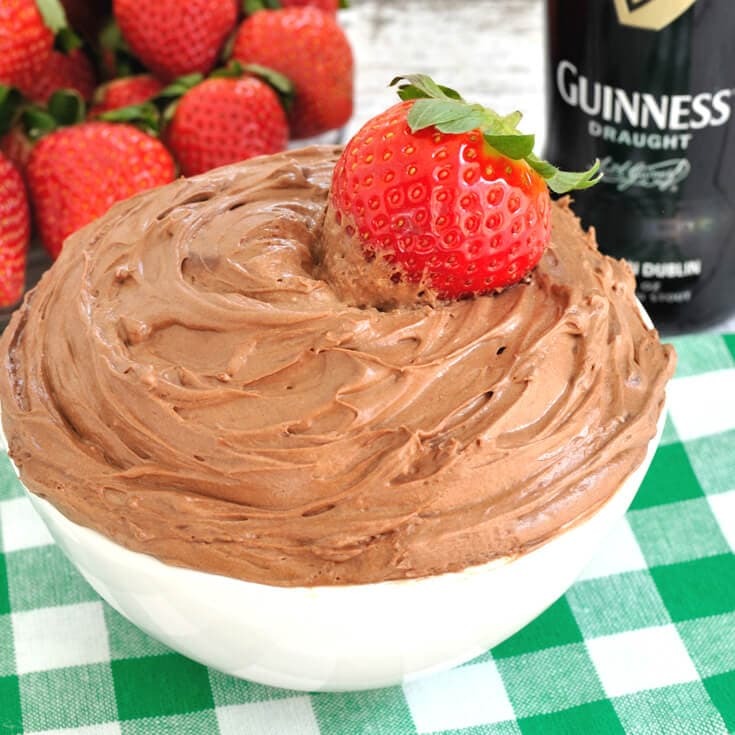 It is almost time for my Bailey’s Irish Cream Dip for St. Patty’s day, but Valentine’s day is up next so I thought i’d introduce you to another fun alcohol infused dip. This dip is so easy and comes together in just 10 minutes. You only need a 1/4 cup of champagne for this recipe so grab a mini bottle to use or just plan to drink the rest. 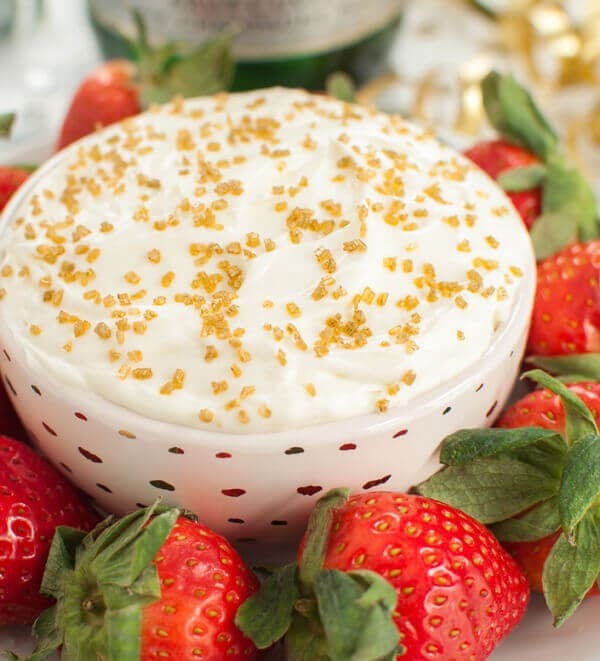 A nice mimosa while making a dip sounds pretty good to me 🙂 And how cute are those glittery sprinkles on top? I couldn’t decide to do gold glitter, silver glitter, or both, but landed on gold for these photos. Enjoy for your next special occasion or just because. 4 ingredient boozy dessert dip. Perfect way to celebrate Valentine’s Day, New Years, a bridal shower or any special occasion. 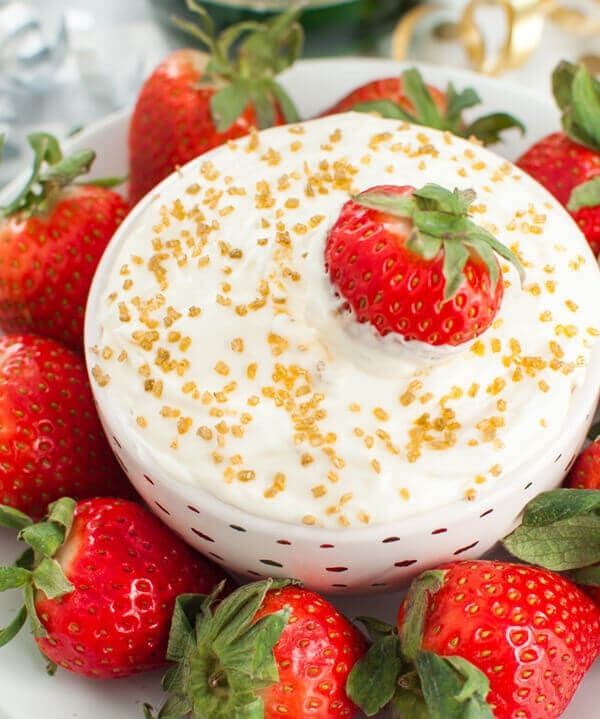 Serve this Champagne Cheesecake Fruit Dip with fresh strawberries for a special adult treat. In a small bowl, whip the heavy cream on high until soft peaks begin to form. Reduce speed to medium and very slowly add in the champagne. Increase speed back to high and whip until thickened (about 30 seconds). Set aside. Place the cream cheese into a medium bowl. Using a mixer on medium speed, slowly add in powdered sugar and mix until well combined. If desired, sprinkle with glitter sprinkles before serving. 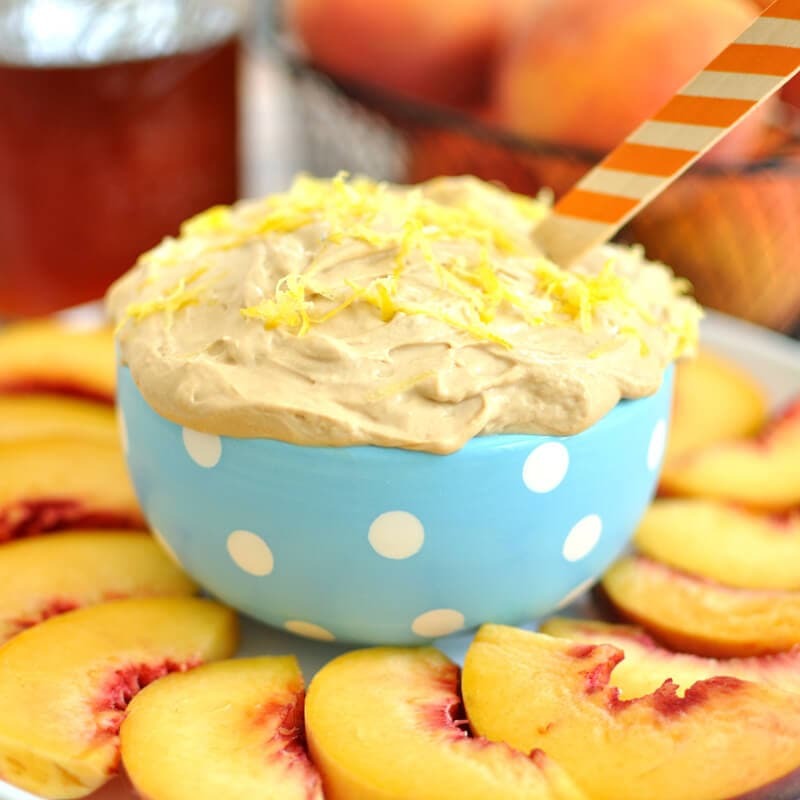 Also check out this Champagne Garlic Honey Mustard Dip from Amazon. Just going to say it now- someone’s going to have to hide the spoons from me once this gets put out. Looks SO good, and is so light and pretty too! Need this in my life!